Has your pet recently been prescribed carprofen for dogs? Are you interested in what side effects your dog might experience from taking carprofen? Or perhaps you’re wondering about the right carprofen dosage for dogs? Whatever your reason for exploring this medication, you’ve come to the right place! We understand that starting your pet on a new medication can be scary. Especially if you have unanswered questions or concerns you didn’t think to ask the vet! 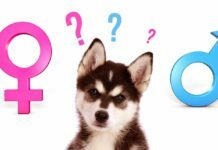 Even if you don’t have any particular concerns, it’s only natural to seek out every bit of information you can find before starting your pup on a new medication. Luckily, that’s exactly what this article is about! We’ll explore everything you could possibly want to know about carprofen. And more specifically, how it relates to dogs! Acticarp, Austiofen, Bomazeal, Canidryl, Carporal, Carprieve , Carprocow, Carprodolor, Carprodyl, Carprofelican, Carprofen, Carprofène, Carprofeno, Carprofenum, Carprogesic, Carprosol, Carprotab, Carprox, Comforion, Dolagis, Dolocarp, Dolox, Eurofen, Kelaprofen, Librevia, Norocarp, Norodyl, Novocox, Prolet, Reproval, Rimadyl, Rimifin, Rofeniflex, Rycarfa, Scanodyl, Tergive, Vetprofen, and Xelcor. Which brand your vet prescribes your pup will largely depend on what country you live in. Every country may have its own name for this drug, and some might even have multiple names. But in reality, each brand is the same thing. So what exactly is carprofen given to dogs for? 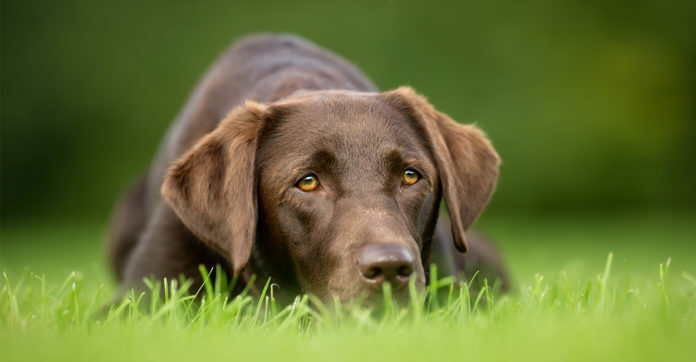 What is Carprofen Used For In Dogs? Carprofen is an anti-inflammatory drug—more specifically, a steroid-free narcotic. Carprofen for dogs can be used for a number of different disorders and diseases. The most common disease treated with carprofen is osteoarthritis since it reduces inflammation. Carprofen can also reduce pain associated with osteoarthritis and may improve function. In addition, carprofen for dogs is also used for pain management after surgery. Again, because of it’s anti-inflammatory property. Inflammation after surgery is not uncommon. And carprofen can be used to combat pain even before it even starts. But how does carprofen achieve its anti-inflammatory and pain-relieving effects? The specific mechanism of action of carprofen is not completely understood. However, it may work by inhibiting the COX enzyme, which plays a large role in inflammation. In other words, it works by preventing the chemical that causes inflammation from working properly. This prevents the inflammation from happening, which is why carprofen is called known as an anti-inflammatory. Specifically, carprofen may inhibit a specific form of this enzyme, called COX2. So not that we have some understanding of how it works, what about carprofen for dogs? 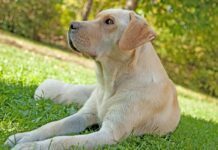 Is Carprofen Safe For My Dog? When it comes to medication for your dog, two factors are usually at the forefront of a pet owner’s mind: effectiveness and safety. So let’s look at a few studies that have explored both of these issues. One study showed that carprofen for dogs gave satisfactory pain relief for at least 72 hours after surgery. It performed slightly better than a similar anti-inflammatory drug, meloxicam. Furthermore, none of the dogs treated with carprofen had any major side effects. Another study looked specifically at the effectiveness of carprofen in treating osteoarthritis. Lame dogs (805) due to osteoarthritis were treated with carprofen. 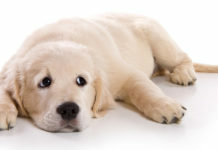 The results showed 24 dogs experienced side effects (2%), 194 dogs were no longer lame after 14 days (26.7%), and 357 had some improvement (49.2%). Age, size, and length of the disease all had an effect on how quickly a dog responded to carprofen treatment. Carprofen for dogs was, however, found to be remarkably good at treating osteoarthritis, with a very small amount of dogs experiencing side effects. Because of this, your vet may consider prescribing carprofen for your canine. So how much carprofen should your dog take? Carprofen for dogs is not something you can order online or decide to give to your pet since it is only available in prescription form. Therefore, only a vet can legally prescribe this drug for your pup. Carprofen for dogs comes in solid chewable tablets that are quite palatable and usually willingly consumed by most dogs. 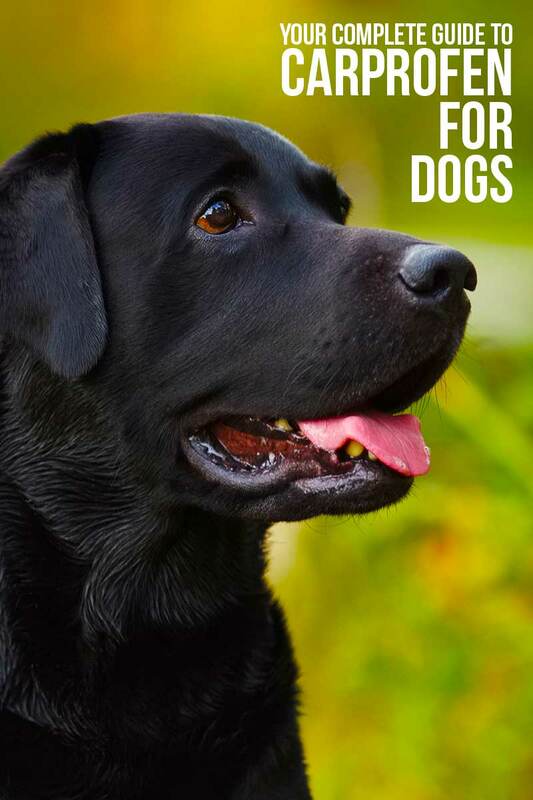 The specific dosage will depend a lot on your dog’s weight and your dog’s vet will decide on the best tablet size for your pup based on a number of factors. Most brands offer tablets in a variety of dosages—from 20 to 100 mg. The usual dosage is around 2 to 4 mg per kg of body weight per day. Of course, your dog’s vet will specify the right dosage. The recommended amount is normally given as a single dose, or as two doses taken throughout the day. A carprofen injection is usually only administered after surgery. Injecting carprofen for dogs simply decreases the amount of time it takes for to enter your dog’s system. Sometimes, it may be given before your pup wakes up from the general anesthetic. The injection is often paired with tablets, to be taken afterward. So what side effects can you expect from carprofen for dogs? Like other drugs of this kind, it is not completely understood how carprofen works. This means it may affect certain parts of the body that we’re not aware of. However, the drug is approved by the FDA and is generally considered safe for dogs. If your pet experiences any of the symptoms, it’s best to contact your dog’s vet immediately. Whereas most side effects are not serious, it is always important not to ignore them. Side effects that appear minor can have major effects on the long-term health of your dog if left uncorrected. As we have seen, side effects are generally rare. This is mainly because most vets are very conservative with their dosing. In other words, most vets start dogs on low doses and slowly increase the dose once they are sure the dog has reacted well to the medication. It is, however, possible for side effects to pop up if the dosage changes so it’s always important to be vigilant and react quickly if you pup experiences any side effects. In saying that, it is also not uncommon for vets to decrease the dosage over time. This is because, after a time, the drug becomes established within your pet’s body. This means that your pet needs lower regular doses to maintain the same amount in their bloodstream. 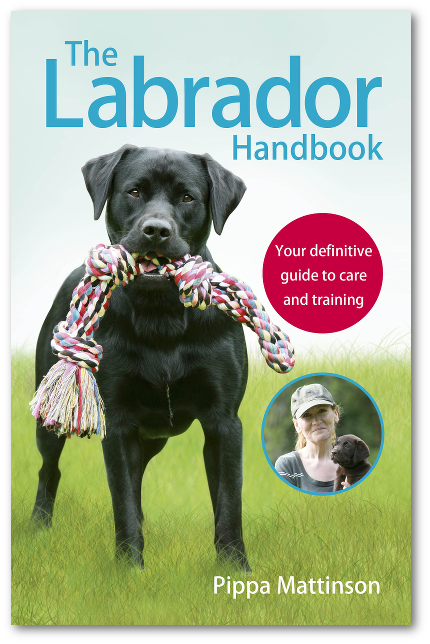 Clearly, from what we know so far, it’s important to follow the instructions given by your dog’s vet. Do not exceed the prescribed dosage and do not use carprofen with other anti-inflammatory drugs. Carprofen for dogs should also not be used with dogs that have gastrointestinal ulceration or bleeding. 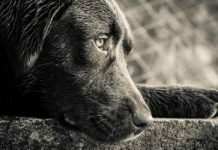 In extreme circumstances, your dog’s vet might use carprofen despite this condition. However, this will requires constant management. Carprofen should not be used in very young or very old dogs and should also not be given to pregnant dogs. Because this drug is very palatable, it’s best to keep it in an extremely secure location. So, should you give carprofen to your dog? Should You Give Carprofen To Your Dog? Carprofen is a medication usually prescribed to treat post-surgery pain and osteoarthritis in dogs, due to its anti-inflammatory effects. 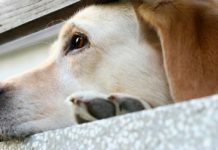 In general, carprofen for dogs is considered both safe and effective and studies have shown few side effects and relatively good success rates. However, it is always best to get a clear diagnosis and a prescription from your dog’s vet before starting your dog on this medication. Your dog’s vet will be well versed in the health of your dog and should know if this medication is the right choice. 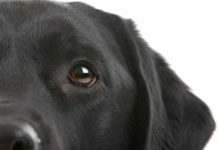 Is your dog taking carprofen? What is your experience with this medication? Ricketts AP et al. 1998. Evaluation of selective inhibition of canine cyclooxygenase 1 and 2 by carprofen and other nonsteroidal anti-inflammatory drugs. American Journal of Veterinary Research. Leece EA et al. 2005. Comparison of carprofen and meloxicam for 72 hours following ovariohysterectomy in dogs. Veterinary Anesthesia and Analgesia. Mansa S et al. 2007. Long-term treatment with carprofen of 805 dogs with osteoarthritis. The Veterinary Record. my 10 year old Yorke is taking carprofen for carcinoma nasal cancer they said it helps with the inflammation and it has stuff in it to slow the tumor from growing. but unfortunately Jacob tumor is already growing outward from his nose of his bridge its under his skin. we are just hoping that this medication will help it and slow it down because I am not ready to let my little guy go. He is still very active running playing eating the only thing that bothers him is his breathing from his nose so we are up most of the night which I’m fine with because I’m so worried that if I fall asleep something will happen. Does any one else have this illness with there dog and if so how are you dealing with it.im not ready to let my boy go. Any recorded cases of elderly (14 yr ) dogs loosing their sight ? No macular degeneration evident but “failure ” to function so to speak. failed the 3 light test ( red /Blue/white I think they were. No reaction to white light so vet says thats it. Was on 20mg twice dayly for 5 days Totally blind 2 weeks later BUT I dont know how sudden it was as the dog was in kennels for the last 5 days. My 2 year old lab was prescribed Caprofen 100 mg daily prior to having surgery for a torn ACL (TPLO) a week ago. She has vomited twice in the last few days, which is unusual and as I read it, a side effect of the medication. My dog was on Rimidyl for a few days and did fine. I received some Carprofen (I know Rimidyl is the same supposedly) and twice when I’ve given it to her for a few days, she’s had a raging allergic reaction. This dog is already prone to weird ear and itching feet reactions, but the Carprofen seems to flare it up badly. My dog, a bichon frise, almost 15 years was prescribed this medicine and also an antibiotica called Synulox. Instead of feeling better, she was getting worse, she was vomiting, she couldn’t keep her food down, feeling lethargic, agitated and also walking back and forth.today we got the bloodtest results, she has kidney disease, and she is off the carpofen. She is prescribed a special diet for kidney disease and is given medicine against vomiting. I pray this helps to keep her food down. My 10 year old husky has been given Carprofen twice now for various injuries and both times he perked up so much he was like a puppy. I finally asked my doctor if he could have it daily and now he is so lively and happy. I wish I realized the effects of this sooner. He must have been miserable before and I just didn’t know. My dog, Marty, just started on 75mg carprofen, twice a day, yesterday for arthritis. He has been phenobarbital for seizures since April and Doxycycline to treat anaplasmosis since September. He just had a dizzy spell and I wanted to check on possible side effects. You have provided a lot of useful information. I’m wondering if the combination of all these pills can cause more problems for Marty . after 3 days of giving our 90 lb. 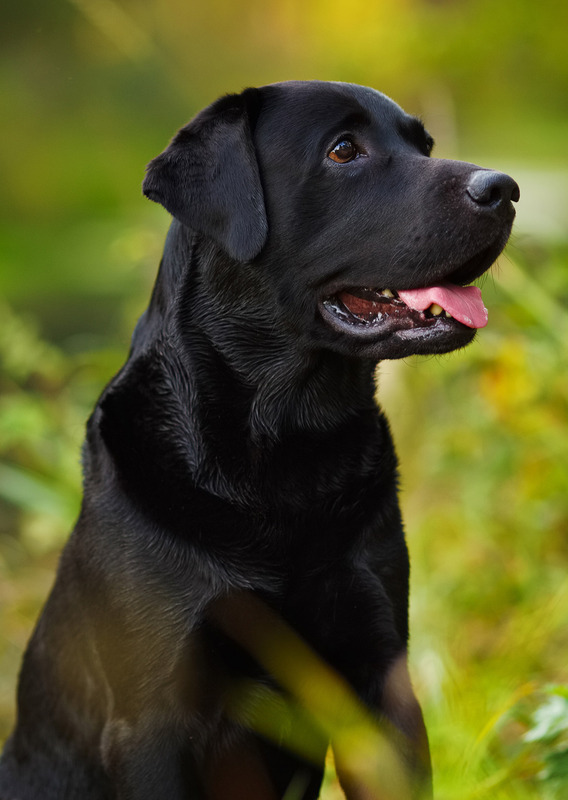 10 year old black lab Sadey carprofen 75 mg twice a day she experienced a bout of dizziness/nausea ? so severe that when she shake her head she fell down with difficulty getting her self back up, walking in circles with difficulty keeping her legs straight under her and seems to be walking in a drunken state. It is Sat afternoon and the vet/humane society that prescribed it for arthiritus is not open. I am taking her off it until we can talk to the vet who prescribed it. have no idea if it is related, since the first vet didn’t seem to be concerned about her overall health; only addressing arthritis. My seven month golden retriever was put on 1/2 tablet of 100 mg twice a day for a week until xrays could be taken of her right leg. She experienced vomiting and a little diarrhea and loss of appetite. The biggest change is that she went from a sweet gentle pup to showing signs of aggression. I have had a few different dogs on Carprofen for after surgery and arthritis; have had no problems. Think this is a great medication if used properly. Our chocolate lab was prescribed Carprofen and not 12hours later had severe bloody diarrhoea, vomiting and lethargy. We immediately took her off but its persisting. The Vet says this is common for Carprofen and Retrievers ?!? My 2 y/o German Shepard Thor who weighs 125 lbs was given Carpofen 100mg twice daily following a surgery. It was very well tolerated. He is on day 9 of 10 day dosing and has had no side effects. I highly recommend this medication. Hi, I hope your dog is okay by now. I´m a vet student and I´m doing a project on adverse reactions to carprofen. Do you have more information that could be useful?